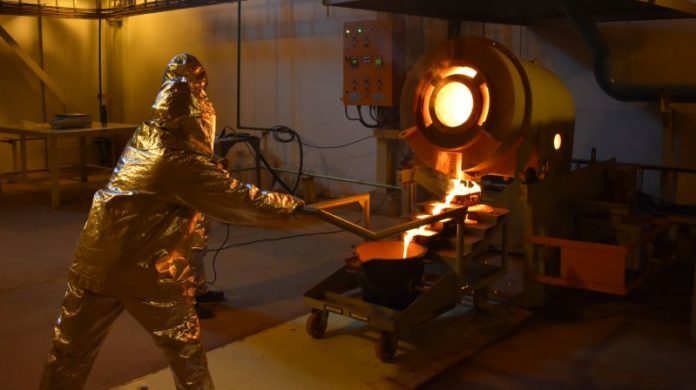 HUMMINGBIRD Resources is sticking to original production guidance of up to 125,000 ounces of gold from its Yanfolila mine in Mali for its 2019 financial year, but all-in sustaining costs (AISC) could increase by up to $50 per oz over the original $800/oz for the year, the company said. Commenting in a fourth quarter update, issued on January 30, Hummingbird Resources said work fixing a mine wall that had collapsed following heavy rains in 2018 would be incurred in the first quarter of the 2019 financial year. The new AISC estimate was, therefore, between $800 to $850/oz, it said. Fourth quarter production recovered, however, following the wall collapse and took Hummingbird to its adjusted guidance of 87,000 to 92,000 oz with output of 91,620 oz. Daniel Betts, CEO of Hummingbird, suggested the company was through the worst. “The group has been through an operationally challenging quarter, but I am pleased to report that we have made significant headway on the ground in resolving the issues we faced,” he said in the production update. “January’s production figures are in line with 2019’s production guidance and mine plan and we are making positive progress with the construction of a second ball mill, which is due for completion in Q3 2019. This will increase throughput and, along with our exploration campaign, the long-term value of Yanfolila,” he said. Work on a second ball mill which would increase processing capacity to 1.25 million tonnes from one million tonnes annually at Yanfolila was also progressing, the company said. One third of the project had been completed to date and within budget. “Excavation earthworks for the mill raft commenced at the end of 2018 and are ongoing with civil works underway,” it said. The second ball mill project was due to be completed in the third quarter. The ball mill will cost $13m to build. As a result, some $9.5m of additional debt was drawn from Coris Bank in the fourth quarter to put towards the capital cost. The company had cash of $21m (Q3:$20m) at the close of the fourth quarter which includes the additional debt drawn down. Total debt was $61m (Q3:$58m).